Sorting is the first step towards learning how to recognise shapes, numbers and letters. Fostering a child's abilities to recognise patterns is therefore a vital step in their journey towards learning how to count, do calculations, read and write. It's also something children do very naturally, as anyone with a child with a trajectory schema who likes to line up toy cars will have noticed. Chances are those cars will be lined up in groups of size or colour. 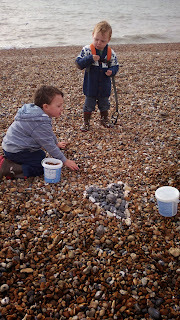 Today we had a fun morning on the beach to which I added a sorting element by bringing along buckets (Lidls yoghurt containers for the recycling fans out there) and encouraging the boys to help me on a treasure hunt for dark pebbles, and then light pebbles and shells. Once we had a few we started piling them up to make a shape, and then hunted for more to make the shape bigger. At sing and sign this week we learned the Makaton sign for brown, which must have made an impression on Toby because he kept bringing me brown pebbles and touching his sleeve. I like activities like this because they are outside, free and the kids are learning skills and being creative without noticing that it's anything more than a fun game. 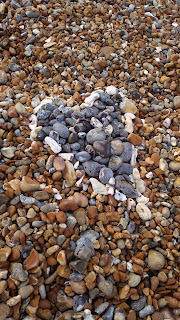 We followed up with building a big pebble castle of the boys design, complete with seaweed moat, which was enthusiastically destroyed in a freak giant related accident. 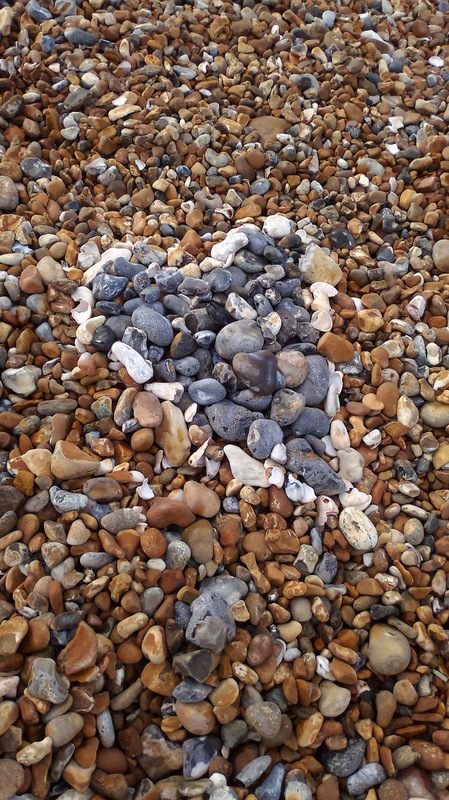 Finally a bit more physical play with pebble throwing into the sea and then a race up the beach to get our hearts racing and the sea air rushing into our lungs. 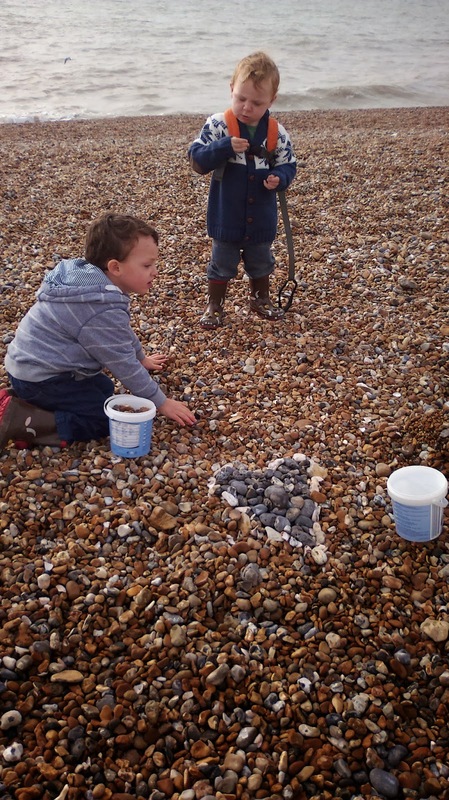 If you're not near the sea, this sorting game can be easily adapted for any situation. A perfect variant for this time of year is making shapes such as mandalas using fallen leaves, nuts and seeds. Just don't forget your camera so you can stick the picture of their artwork up on the fridge with the rest of their masterpieces.